I love DIY projects, but I don’t get to do as many of them as I would like. When I started blogging I added a section for DIY, but have come to realize that I did some of my best projects before I started blogging. I have no before pictures to post leaving the DIY part of my blog quite scant. Now that school is out, summer is here and it stays daylight longer, that means more time for projects. I started a new project, I am slowly re-doing my sons room. 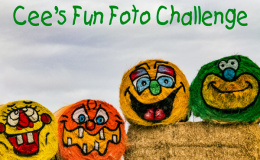 I started with an idea from a picture that I found in one of my decorating magazines …or was it on-line? 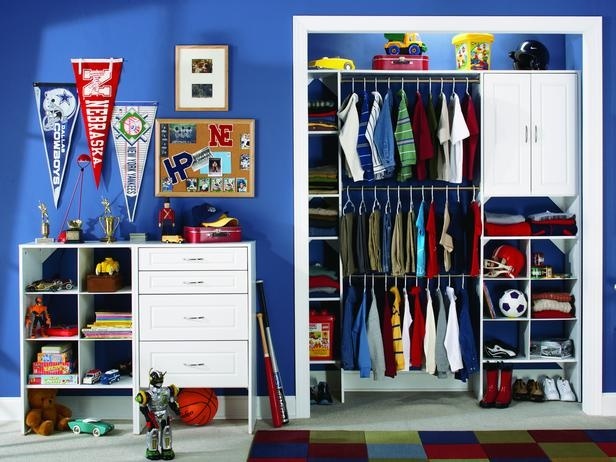 Anyway, this is what I want the closet area to look like when I am through. He has a small room and is in much need of more space. The closet above would be a good solution for better organization. 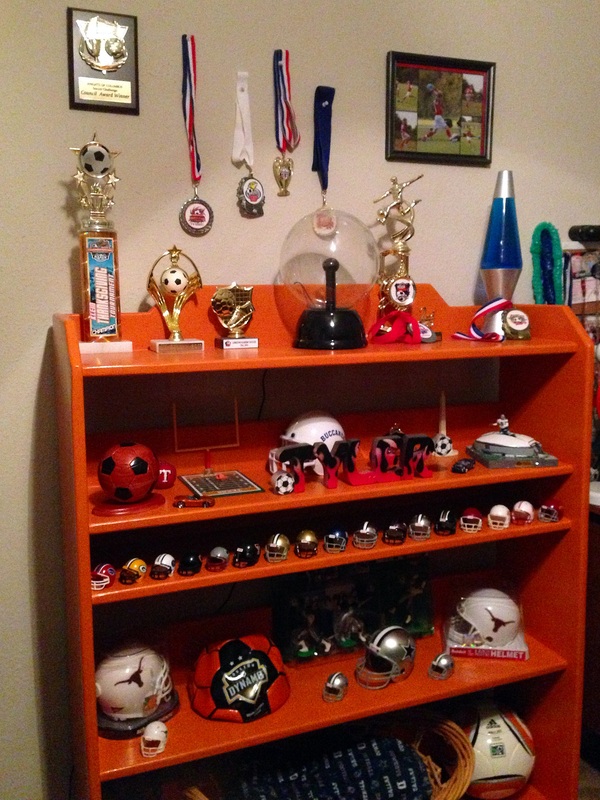 I also thought a floor and wall shelf would be good to display his trophies, awards etc. 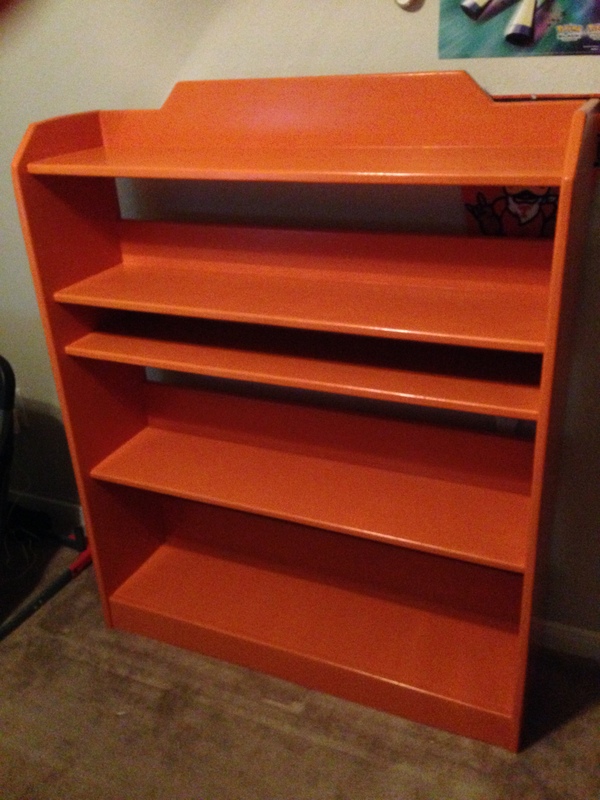 A neighbor of mine had a shelf that she no longer wanted. I decided to take it and give it a new look with a fresh coat of paint in a vibrant color of orange. The new shelf looks great! Way to go Arl!! Awesome job! You should come to our house and redo our stuff! Love it! 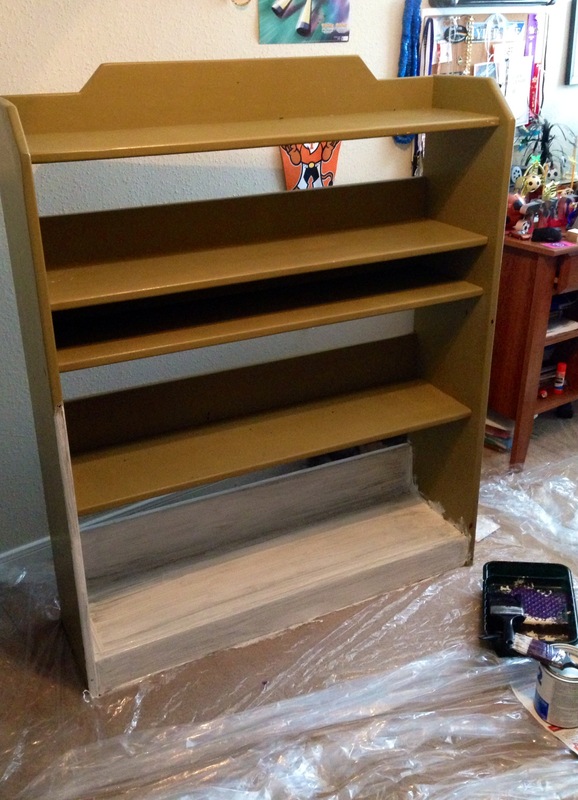 I love how the bookshelf came out!! 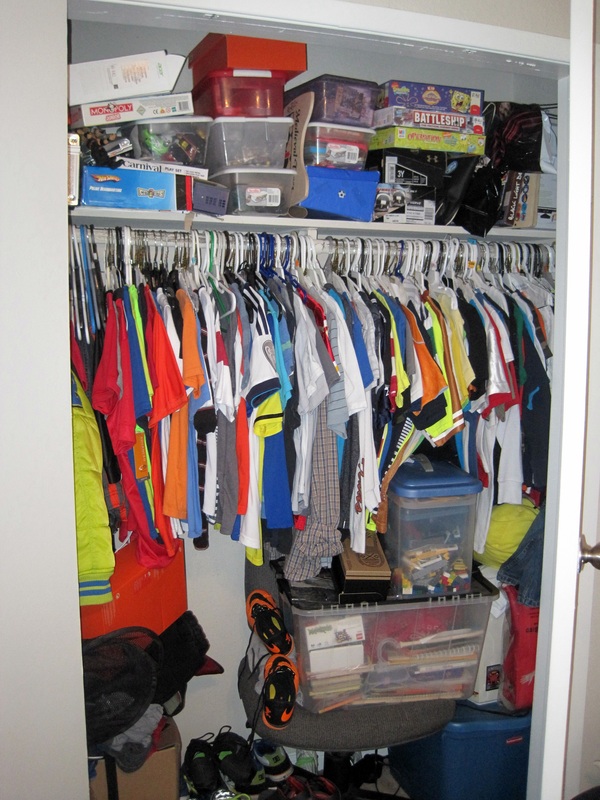 I am constantly re-organizing my kids’ rooms… so much STUFF!! What color orange did you use? I may paint my son’s desk chair orange and your shade looks great. Thanks! Thank you so much! The color is called Caramel Cream and the brand was Valspar from Lowes. I am not sure if I think it looks like a caramel cream …but we were happy with the results. 🙂 Thanks so much for visiting! I too love redecorating projects!! kids’ rooms, arghhh!! Nice! I love how you made something old new again with just a fresh coat of paint. I love DIY projects, but lack motivation sometimes, especially when the weather is nice out! Great job, Arl! I absolutely love the shelving! I see above you used Valspar paint from Lowes…and then, did you prime it first? Is there a special primer (brand) you used? Good luck with the closet! OK! That’s great to know. I have a few things that I could spruce up!